Work last week was beyond busy, which meant that I was not able to spend any time at all with my machine. 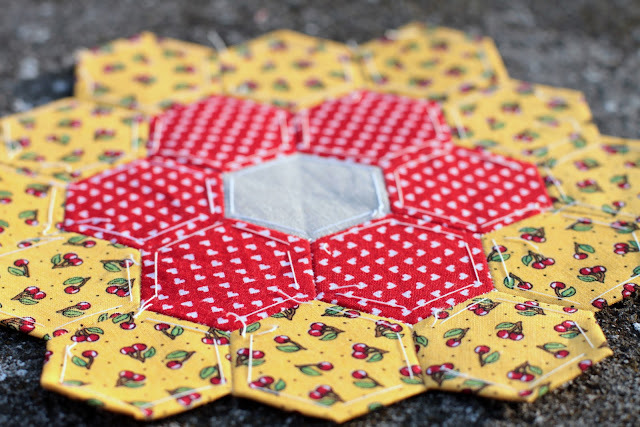 However I did make a little flower progress, so it wasn't an entirely lost sewing week. Saturday my husband and I took advantage of the gorgeous weather and brought my first to quilt to the botanical gardens near our house for an overdue photo shoot, and my flowers tagged along too. Left over Tanya Whelan scraps from the above-mentioned quilt. (I still haven't had a chance to go through all the pictures my husband took, but hopefully I will post them this week) I don't think this flower really has enough contrast, but I love the little rosebuds, so i'm keeping it. Cupcakes, more cherries and Bliss dots! This pink is one of my favorite fabrics from the City Weekend line. Even more cherries! I love this Mary Engelbreit cherry print. 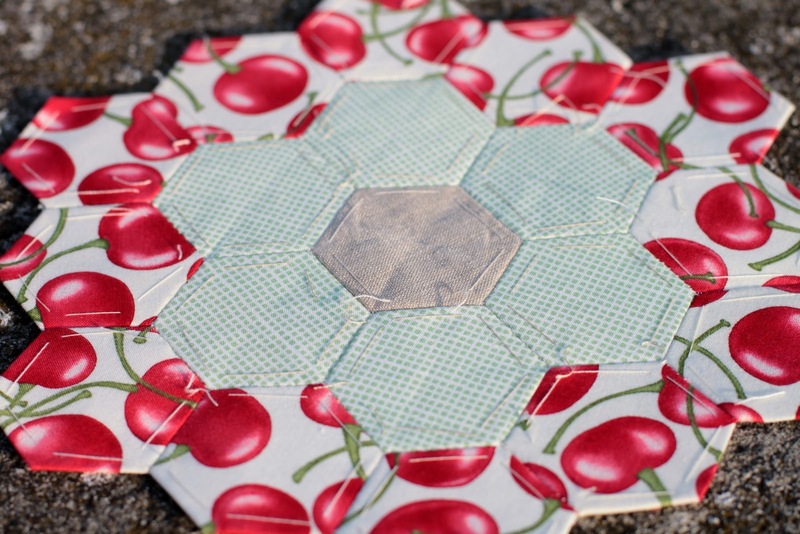 I am linking this post up to Quilt Story's Fabric Tuesday - go check out everyone's cool projects! Love this fabric!!! 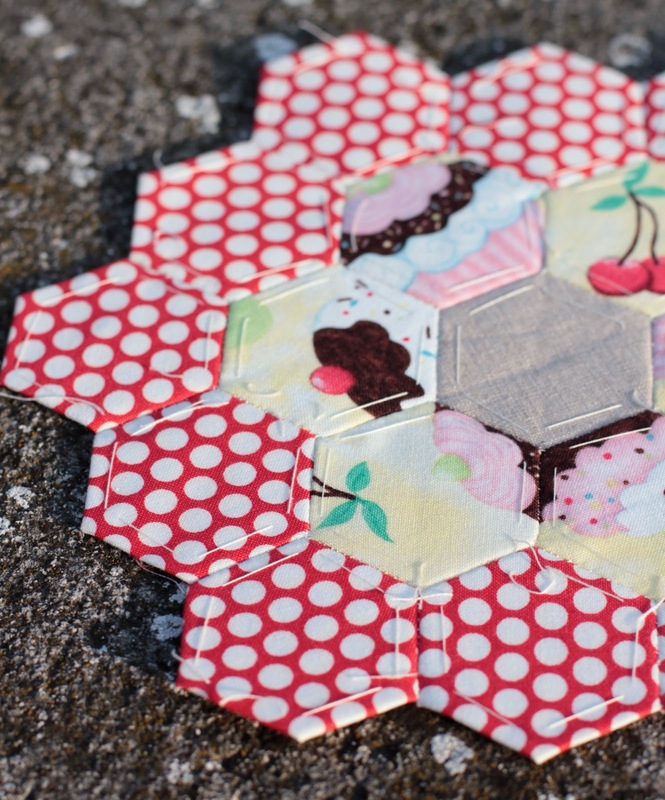 And the hexies are GREAT!!! When am I going to get busy and make my own??? Love it! 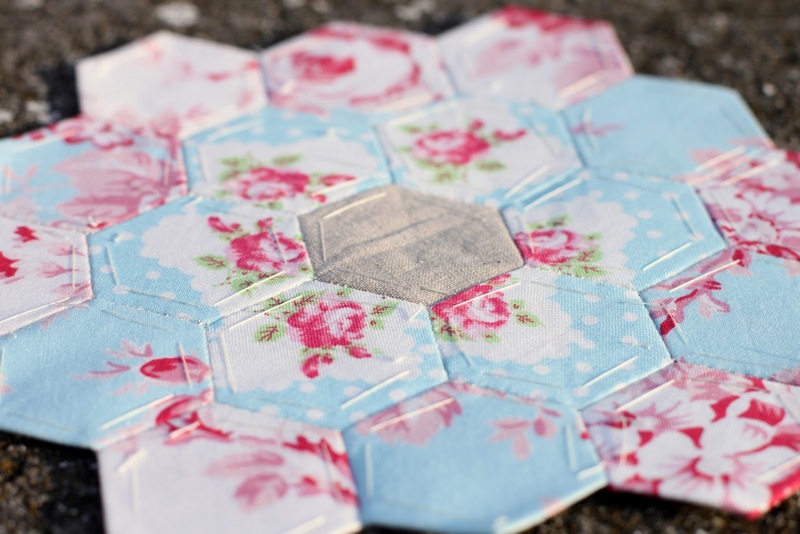 Pretty, pretty hexie flowers and how great to have a helper now joining you!!! Your flowers look great! 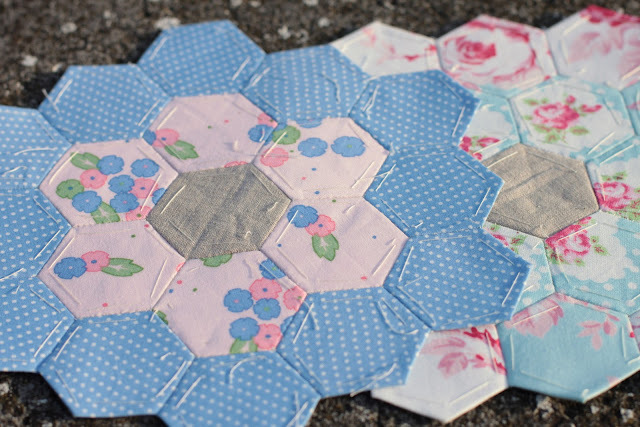 I've been wanting to make a hexie quilt too, but hand-sewing is a lot of work!